This blog post and Go Inspire Go (GIG) video is for everyone – especially the youth, who don’t think their story matters. Every story matters in how it moves you, changes your perspective and inspires you. As a journalist with over ten years of experience, I’ve interviewed thousands of people. Time and time again, I was shocked to hear that many interviewees didn’t believe their story mattered. Why do people think their story is irrelevant? I believe that everybody’s story matters. Likewise, our hearts and minds can change as we learn about other people’s stories. 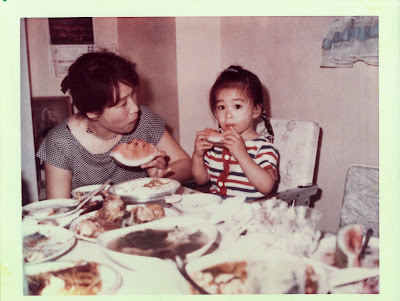 People like Jow Way, an immigrant single Chinese mother who raised two kids by herself in the housing projects of New York. She didn’t speak English, worked several day jobs, including hard labor jobs in a sweat shop environment, laundromat and pizzeria. She also made jewelry at home for a wholesaler and eventually worked her way up to a receptionist job at a doctor’s office. Following her passion for fashion, Way eventually opened up her own clothing business, bought a house (outside of the ghetto) and raised two educated children. Way is Villy Wang’s mom. Wang is the CEO and founder – or as I like to call the “Head CAT” -- of BAYCAT, a San Francisco-based nonprofit social enterprise that educates, inspires and employs underserved youth in the digital media arts. Feel inspired as you learn about Villy Wang, who went from working in a sweatshop and living in the New York projects to achieving her dreams as a Wall Street banker and lawyer. Find out why she left a big job title and paycheck to start BAYCAT. What I love most about BAYCAT is that the kids not only learn multimedia tools; they also learn responsibility and self worth with every video and film project. I have seen many kids like Lamar Turner mature as they went through the program. Lamar and others are now giving back and have become ambassadors – mentoring the newcomers. I first met Villy at the Bank of America Local Hero Awards where I was a 2011 recipient and she was a recipient from the year before. I knew we were kindred spirits. After a few follow-up meetings to discuss how my nonprofit, GIG and BAYCAT could join forces with our GIG Spark (Lesson on Compassion) Program, I realized we shared similar stories. 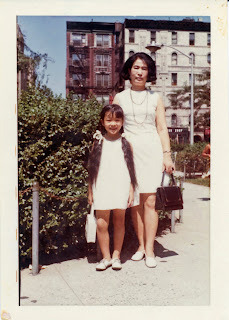 My mother, Tran Lam also does not believe her story is relevant. My parents had a successful business in Vietnam, but in the late '70s, when the communists took over, she and my Dad gave up everything they worked for to bring their five children and a few other relatives to America for “opportunity.” They ended up with $4 in their pockets in Sacramento, Calif., in a trailer – yes there were 10 of us crammed in one trailer. 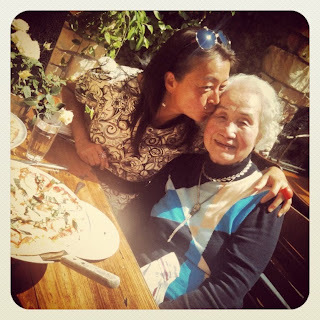 I still don’t think my Mom knows how much of an impact she’s made on my life – and that the inspiration I’m trying to spark around the world with GIG started, in part, to her strength, incredible endurance and survival skills. I hope that she and Jow Way will one day comprehend how their undying love, relentless spirit and search for a better opportunity continues to ripple out through BAYCAT, GIG and by people like you, who are reading, sharing their stories and using your power to help others. As you saw in the video, the story-telling was disrupted when BAYCAT was recently burglarized and thieves sole more than $50,000 worth of laptops. The kids got over the shock and sadness quickly went back to work and kicked off a “$50K in 50 days” Indiegogo campaign to replace the laptops. Values and actions like these can be traced back to Jow Way’s impact on Wang and Wang’s impact on the BAYCAT kids. Join me in raising my computer “mouse” to Jow Way, Tran and everyone out there – especially the youth that don’t think their stories matters. Please share a story in the comments section below that inspired you! 1. Watch their Indiegogo campaign to raise "$50K in 50 Days" and contribute what you can. 2. Follow @BAYCATSF on Twitter and BAYCAT on Facebook. 3. Get to know someone’s story in your community and share it. WHAT CAN YOU DO?